David Albelda had a meeting with Valencia CF president Manuel Llorente last week where they talked about increasing Albelda's contract by one year. Valencia president Llorente put a proposal on the table and its said that Albelda will become from one of the most paid footballers at the club right now to one of the least paid players if he accepts the new proposed contract. In fact the new salary is said to be bellow 1 million euros. David Albelda has looked at the proposal and talked with his family about it and seems like he is going to accept the new contract in order to continue with Valencia. He has reportedly also had offers from other clubs in Spain, but his wish is to stay at Valencia and finish his career there. 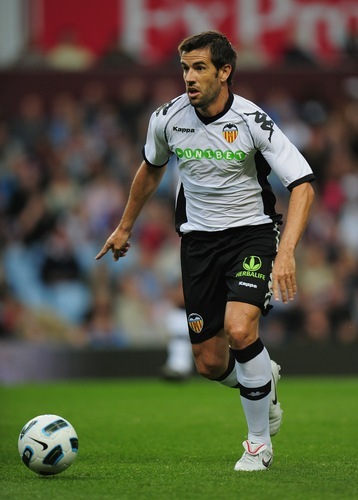 I fully expect Albelda to sign one more year for Valencia CF, but this is football and anything is possible, so until its not official its merely speculations.